This is the window for entering marks/grades for extracurricular activities. For a description of the buttons please scroll down. 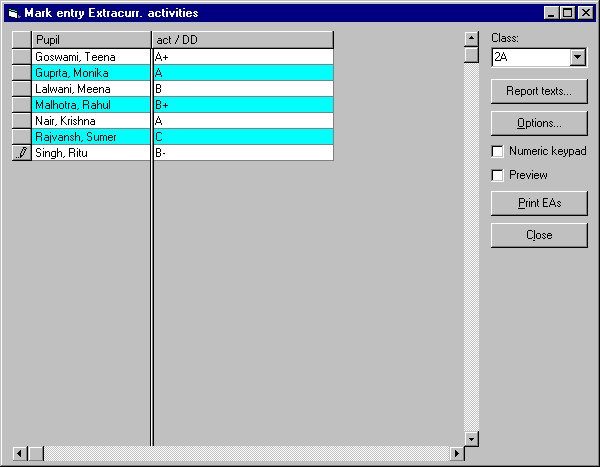 This is window for entering marks/grades for extracurricular activities. : It will open a window for to show you options avalible for the extracurricular activities grades/marks. : It will open a window for printing the extracurricular activities grades.